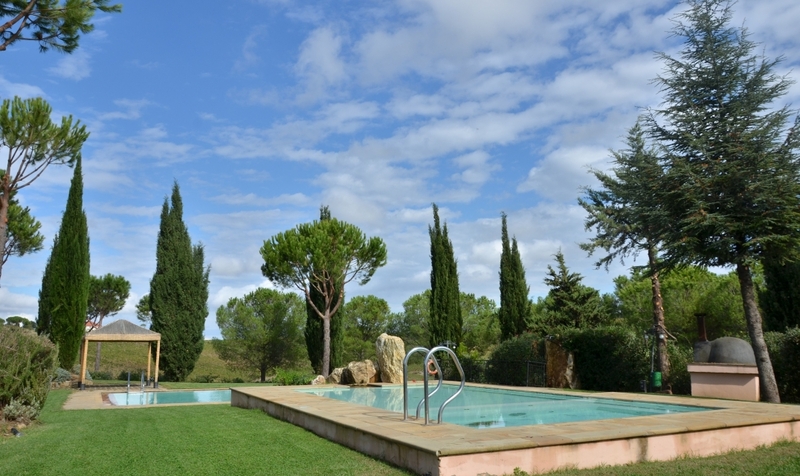 Luxury Villa in midst of a farm in the Maremma area, just a few km from the Tuscan coast, with famous beaches and ancient hamlets. 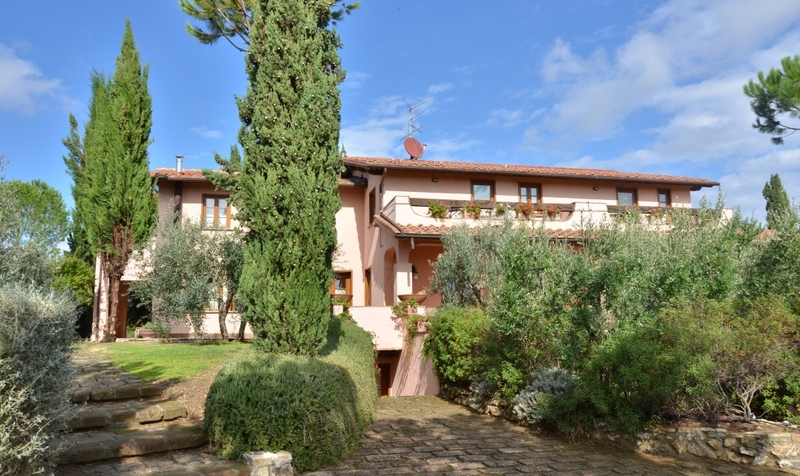 The Villa has been restored recently and is presented now in all its Tuscan splendor. 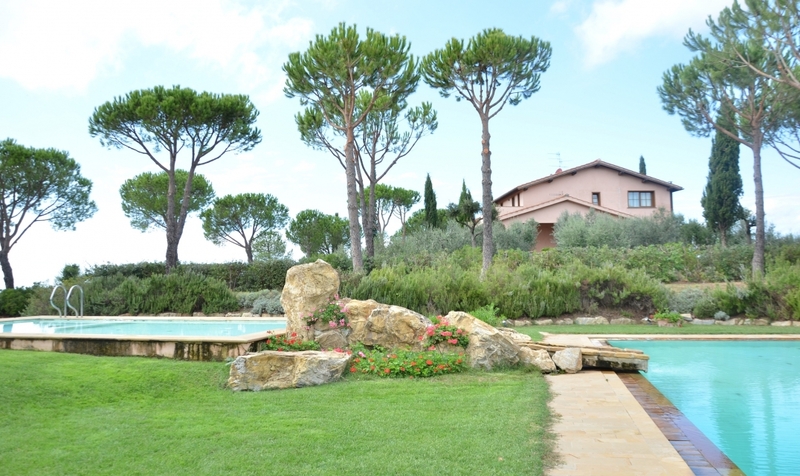 Villa Vigna is surrounded by a wonderful Pine and Cypress park. Panoramic view over the surrounding landscapes. Typical and careful chosen Tuscan style furnishings with beautiful decorations and large rooms. Central heating. Access throughout 1.5km of unpaved roads non suitable for low riding cars (sports cars). Heating included in the rental price. Distances: Rispecia 5km, Montiano with grocery shop 8km, Nature Reserve (Il Parco Naturale della Maremma) 9km, Grosseto with shops of all kind, Pharmacies, Restaurants 10km, Principina a Mare and Marina di Grosseto with beaches 12km, Scansano 15km, Talamone 18km, Castiglione della Pescaia 25km, Monte Argentario 30km, Saturnia with Thermal Spas 35km, Siena 80km, Vagliagli with ABV offices 107km, Firenze 140km, Pisa 160km, Rome 180km. At guest’s disposal: Swimming pool (7m x 15m, open from 01/05 – 30/09), kid’s pool, large garden with pergola ideal for outdoor dining. Pets are welcome (€50/week). Internet Wi-Fi (for free). Laundry room. Midweekly linen change and house cleaning (included in the rental price). Wellness area with Turkish bath and gym (for free). Billiard room. On request and to be paid on site: Highchair for kids, extra bed (€35/week), Baby bed, extra cleaning. Private parking on the property. Ground floor: large living room with SAT-TV, fireplace, sofas and dining area and access to the garden, kitchen (oven, fridge with freezer, toaster, coffee machine, hand mixer) with access on to the covered veranda (washing machine), WC. 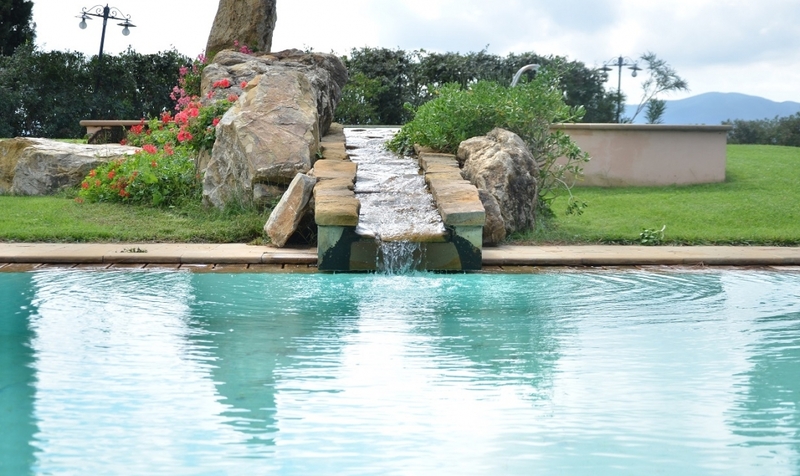 1.floor: 3 double bedrooms with SAT-TV and en-suite bathrooms with shower, 3 double bedrooms with SAT-TV, double sofa beds and en-suite bathrooms with shower. Basement: Gym, Turkish bath, Relax area with access to the garden, living room with access to the garden, Billiard room and relax area.